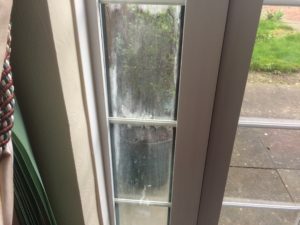 This is an example of a misted window repair which has the Georgian bar inserts between the panes of glass. As you can see this window has been misted up for some time and the glass has become stained off the condensation over time. 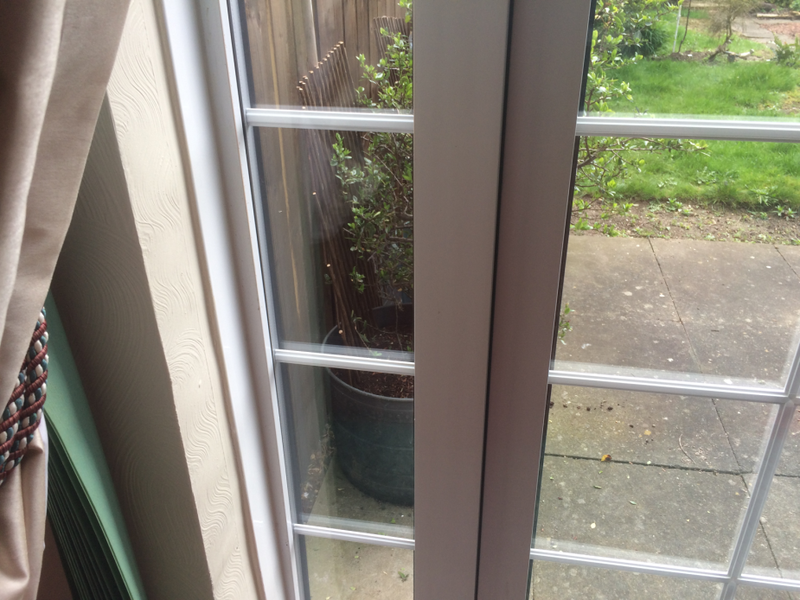 As this glass is surrounding a door the glass needs to be toughened safety glass (building regulations). As well as the toughened safety glass, this double glazed unit also has white Georgian bar inserts which are made of aluminum (not plastic as most people think) which means that this particular unit has 2 additional features to a standard double glazed unit… Toughened Glass & Georgian bar inserts. Both of these additional features will add to the cost of the unit as we need need to put the glass through the toughening process and make new Georgian bars. 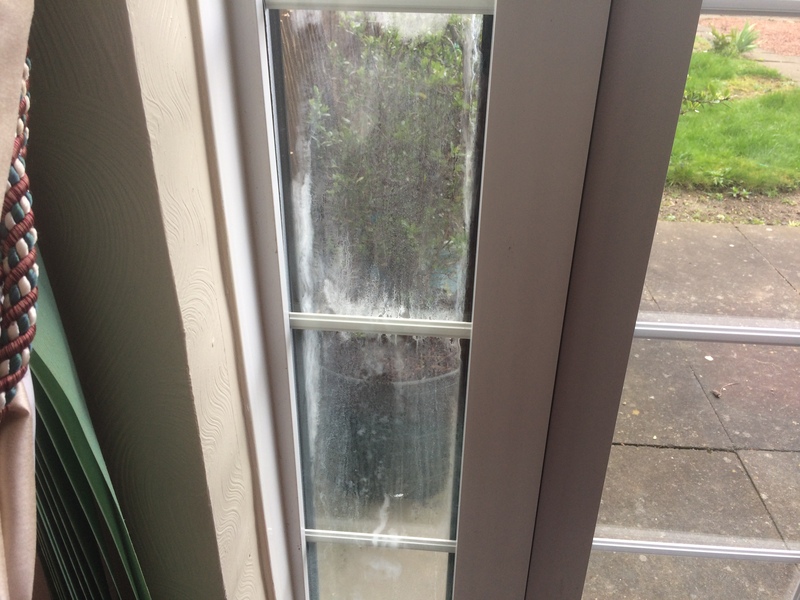 If you notice any sign of condensation in this type of window and you have toughened glass, call us as soon as possible as we may be able to use your existing glass instead of ordering new which will save you ££’s. This also applies to any type of square, diamond or bespoke leaded, bevelled or textured designs. 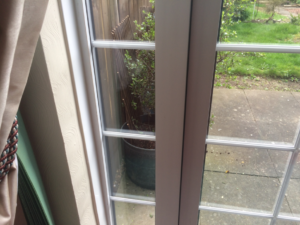 This misted window repair was carried out in Houghton le Spring. ← Look Out For Our Ad in Checked & Vetted!